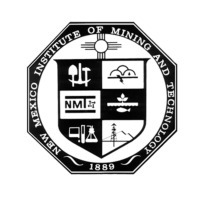 Review: New Mexico Institute of Mining and Technology (also called New Mexico Tech, and originally known as the New Mexico School of Mines) is a university located in Socorro, New Mexico. Noted for its undergraduate and graduate school opportunities, New Mexico Tech offers over 30 bachelor of science degrees in technology, the sciences, engineering (including mineral engineering), management, and technical communication, as well as graduate degrees at the masters and doctoral levels. Location & access map for "New Mexico Institute of Mining and Technology"